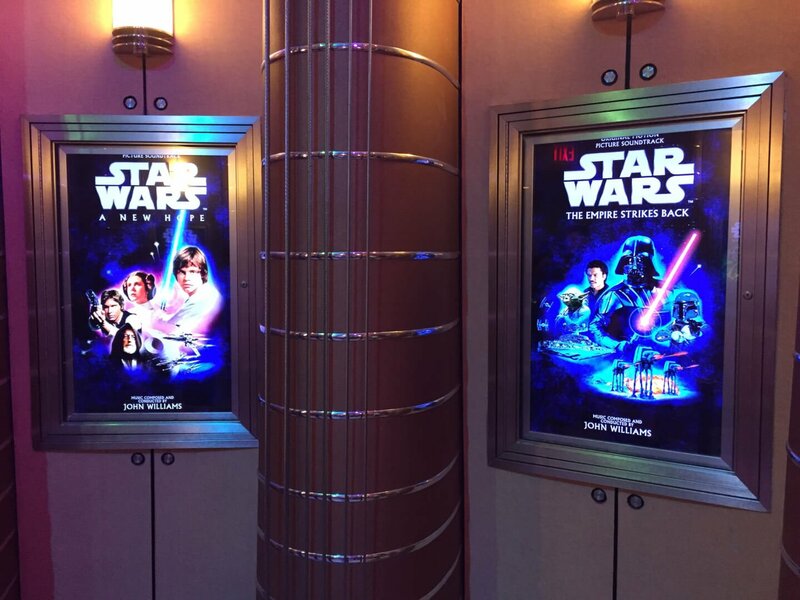 There was a disturbance in the force last night at Disney’s Hollywood Studios. 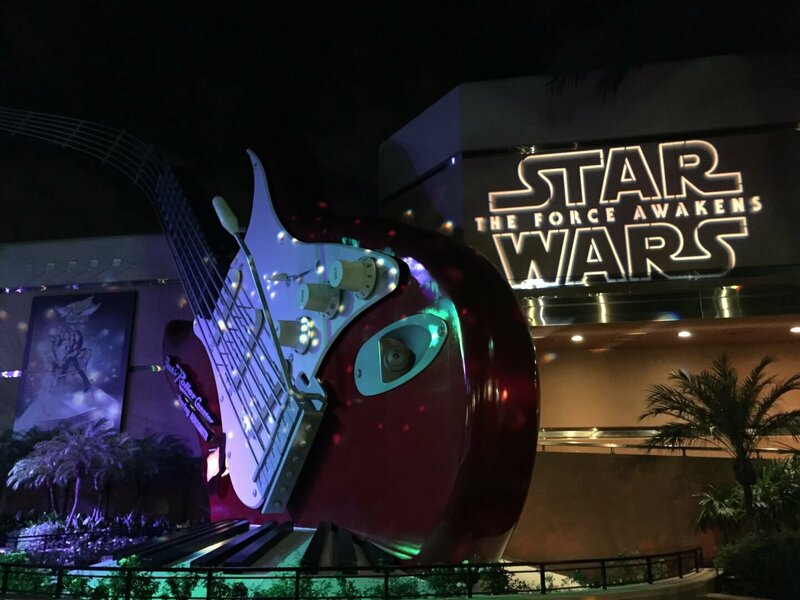 For one night only, Rock ‘n’ Roller Coaster starring Aerosmith was not the attraction you were looking for. 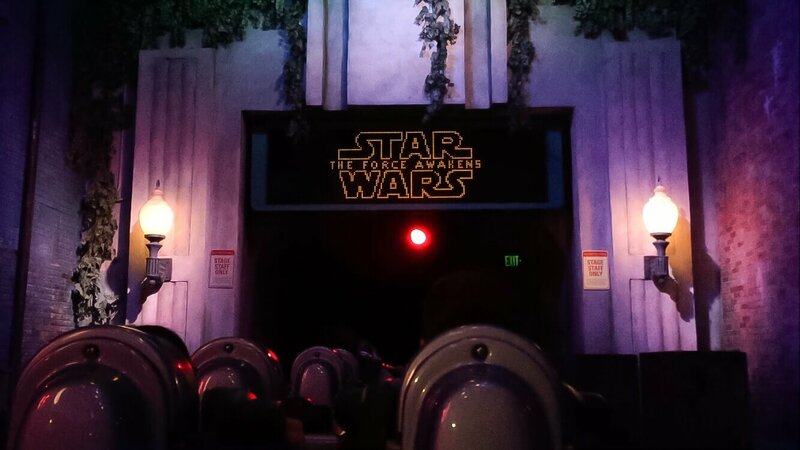 It became Rock ‘n’ Roller Coaster: Star Wars Edition. See the full POV video of the ride below. 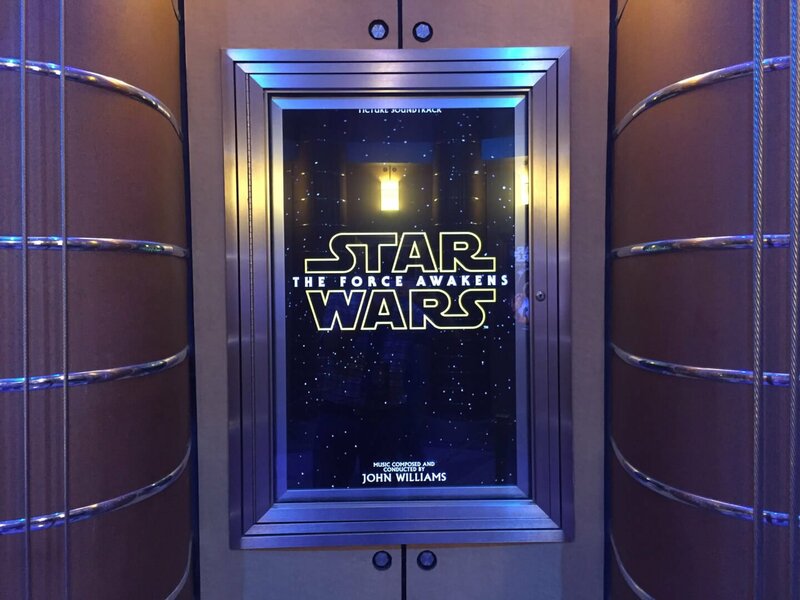 The storyline that the Imagineers developed player among the same beats as with the original, however instead of racing across Los Angeles to get to a rock concert you’re now headed to the Star Wars: The Force Awakens premiere. The overlay was light, but entertaining none the less. 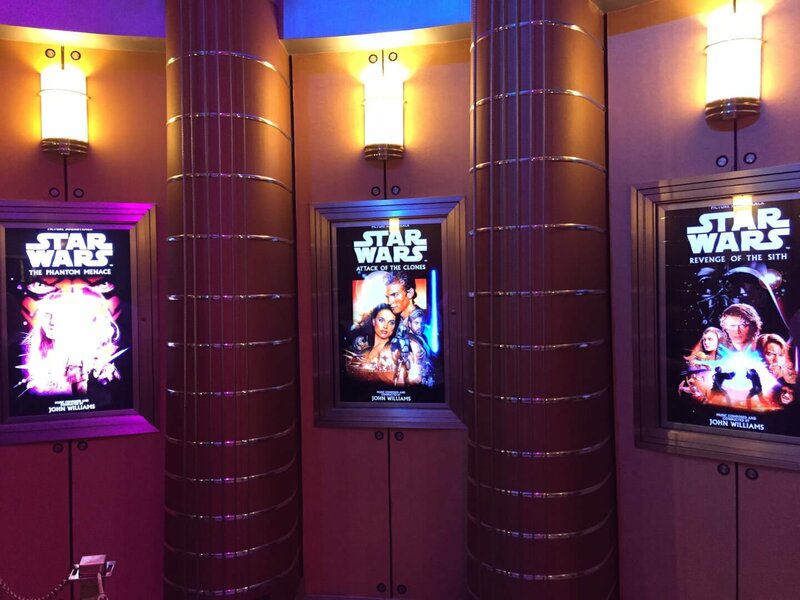 When first entering the reception lobby of G-Force records you found attraction posters from the Star Wars franchise lining the walls. At that point once you moved further into the building, you found yourself inside the recording booth “pre-show” room where you’d normally find Aerosmith grooving along and then inviting you to hop in a super stretch limo so you could join them at their show across town. The band was noticeably missing… shocker, right? So with the doors wide open and not a member of Aerosmith to be found, it was off to the alley way and into the normal queue you’d find any other day. 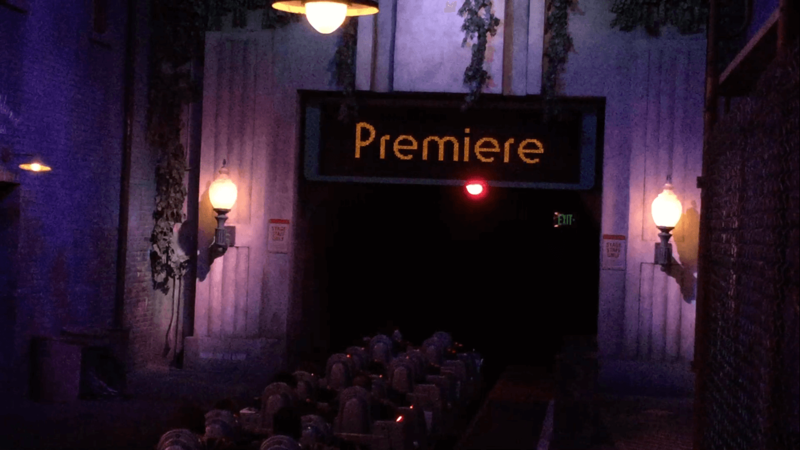 The physical theming stopped past the point of the movie posters in the lobby, but the digital and audio overlay is where the true magic began. 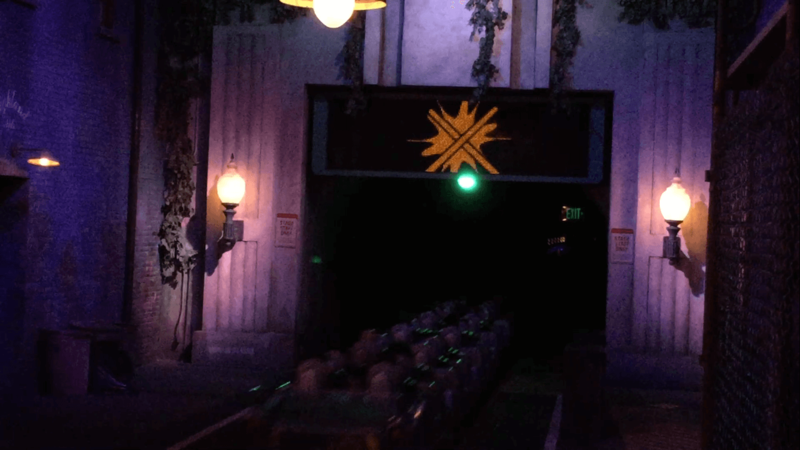 The new onboard audio score that was recorded exclusively got the event gave the riders the storyline as to what was about to happen, then the illuminated overhead sign took off with the Star Wars branding. At the moment of acceleration, two lightsabers clashed on screen as the limo blasted off. For a surprise offering that nobody expected, even with mixed reviews from some guests, it was an overall smash hit. There were only about 3,000 guests in the park which gave the opportunity for riding an already incredible coaster over and over with little to no wait. Toss in the fact that riders were rockin out to a Star Wars themed score and it only makes you wish this is a sign of things to come. 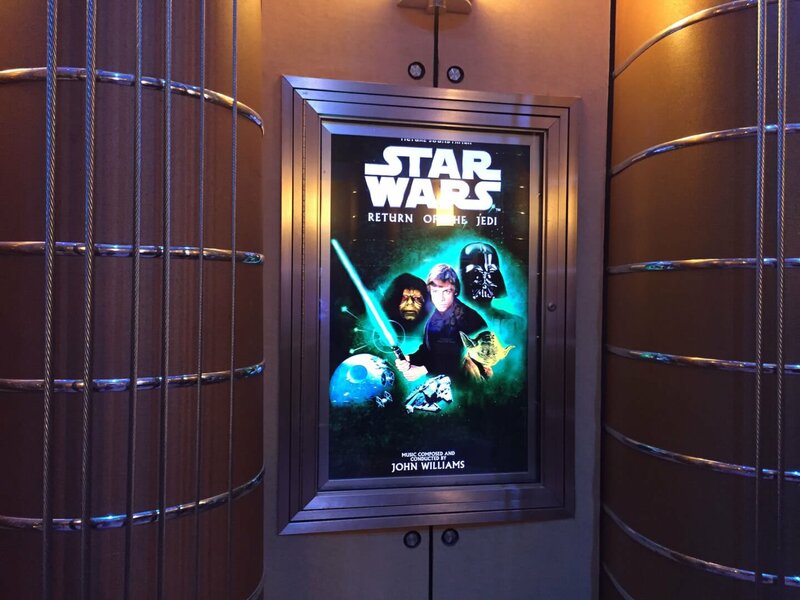 After all, Disneyland’s Space Mountain just recieved a massive Star Wars overlay, so why not test the opportunity here? Time will only tell if with see a return of this overlay, so enjoy the ride to the movie premiere the entire world has been waiting to see. What day did they do this?